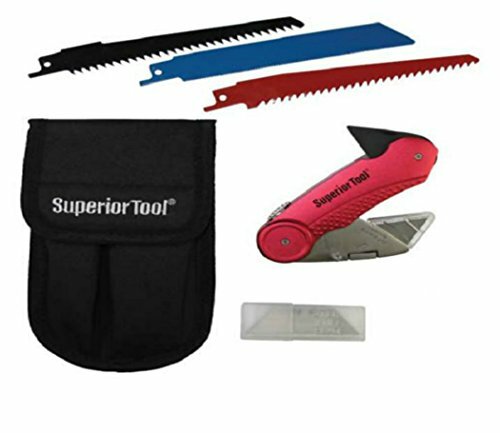 The Superior Tool Plumbers Partner Multi-Tool features a durable stainless steel body with an anodized aluminum handle and a quick blade change feature that requires no tools. The blade is hidden in the handle during storage and is easily accessed with the thumb and locks safely in place. There is a second slot used for any standard reciprocating saw blade that will convert this tool into a saw. The tool also features a hardened steel reamer blade for copper and PVC tubing. The reamer blade is accessed with the thumb and folds back into the handle and is hidden when the job is complete. Aven 21190-8G Adjustable Stainless Steel Wrench with PVC Grips, 8"